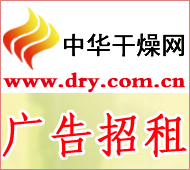 China Drying Network News Qilu Petrochemical chlor-alkali plant promotes the non-toxic production of polyvinyl chloride (PVC). After the technical department inspected and verified, the non-toxicity test of the auxiliary agent has achieved phased results. In the suspension polymerization of polyvinyl chloride, it is necessary to use an initiator to adjust the polymerization rate. Toxic substances such as toluene are contained in the initiator. Either it discharges with the waste liquid or it remains in the polyvinyl chloride resin, which may cause harm to the environment and human health. In order to improve the intrinsic quality of the PVC products and achieve better environmental benefits, the plant conducted inspections from the selection of non-toxic initiators and alternative toluene solvents, and on the basis of full justification, conducted non-toxication tests in steps. . After passing through different experiments with 52 kettles, the company has tracked and investigated about 2,000 tons of PVC resin products. This proves that the new initiator system has suitable initiation rate and reaction rate in the polymerization process, and the reaction trend is stable, and the product quality is stable. The COD content of the centrifuged mother liquor basically fulfills the expected test target.